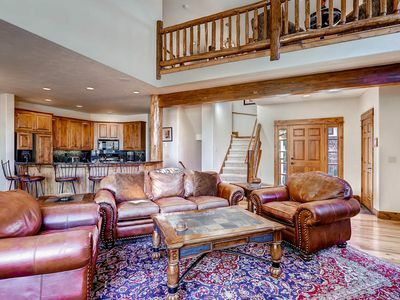 Villa Dulany is a 2-bedroom Steamboat Springs home with ski-in access to the famous Steamboat Ski Resort and just one block away from the ski school, but the amazing location isn't the only great perk. 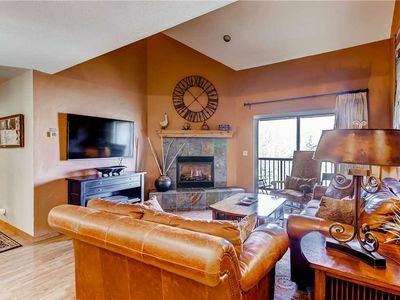 A uniquely designed interior brings together contemporary motifs with traditional rustic touches, and you'll have access to luxury amenities like the two shared outdoor hot tubs. 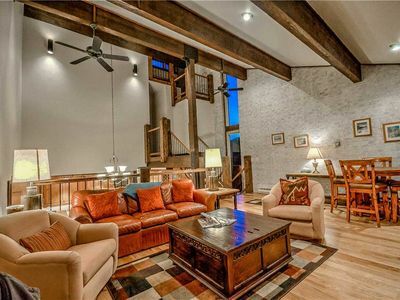 When you first step into the living area, you'll notice the exposed brick, natural wood, and modern lighting fixtures that give this home such a distinct look. 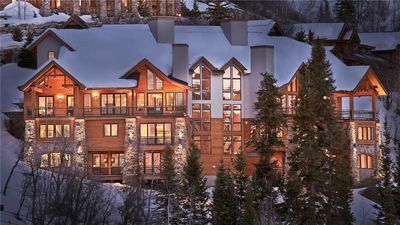 A fireplace is set within the traditional red clay bricks, and a paneled wood ceiling provides the warmth and comfort you'll look for after a day of skiing. 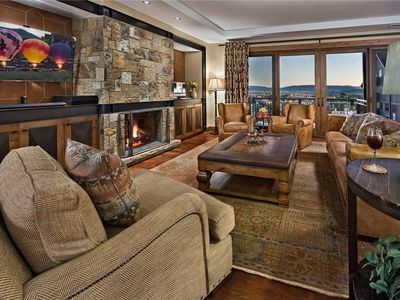 A large screen TV is mounted in front of the plush couches and inviting armchairs, where your whole group can gather. 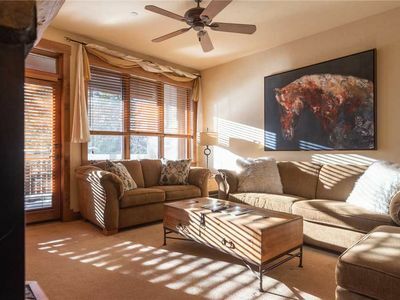 Large windows line the room, letting light cascade in. 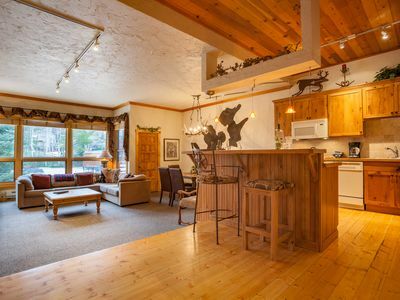 From the living area, step into the dining room, where a traditional table and crafted wood chairs can seat six. 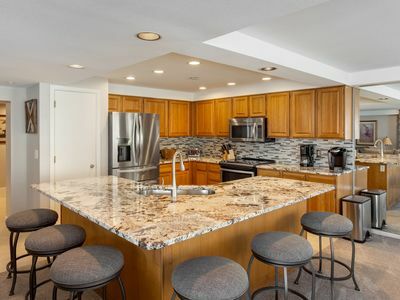 A granite-topped breakfast bar divides the open space, segmenting the dining area from the kitchen. 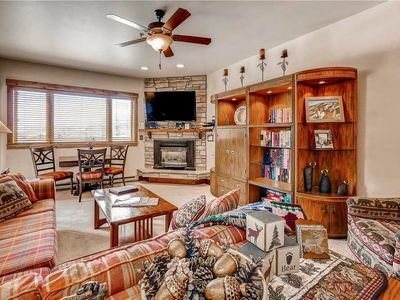 Here, granite counters enclose a comfortable cooking space, complete with an oven, microwave, and a four-burner stove built into a tiled recess that adds cottage-esque character to the space. 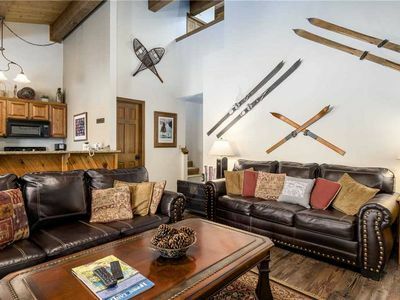 To fully experience the sights and sounds of this fantastic location, spend the evening on the covered patio, where a table and chairs are set up and ready for the perfect apres-ski setting. 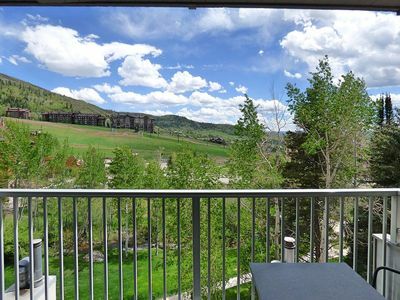 A stay at Villa Dulany is an unforgettable experience, making it the perfect Steamboat Springs rental condo for any mountain getaway. 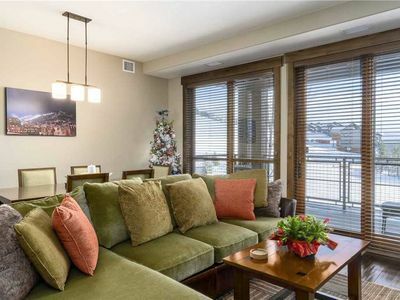 3 Bedroom Condo w/Balcony Overlooking Pool! 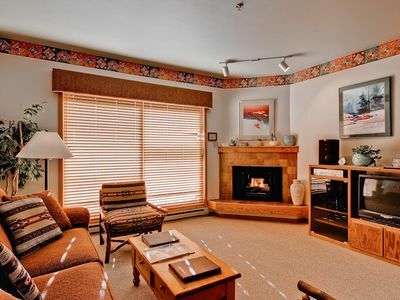 Comfortable Mtn Condo w/Tons of Amenities, Great Staff & More! 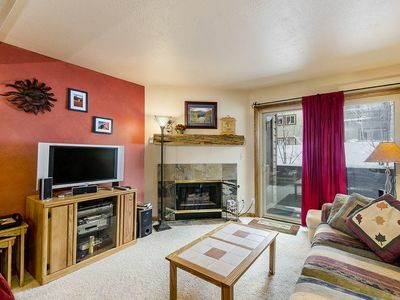 4 Bedroom Townhome w/Private Deck, Resort Amenities & More! 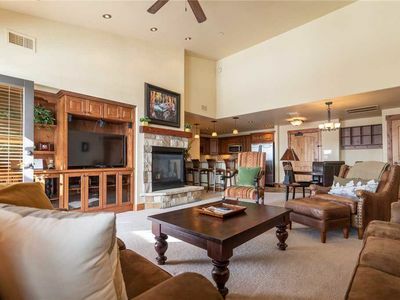 3 Bedroom + Loft Mountain Condo w/Heated Pool, Tennis Court & Hot Tubs! 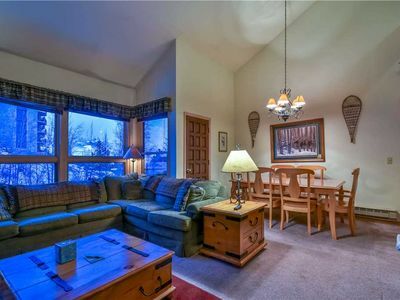 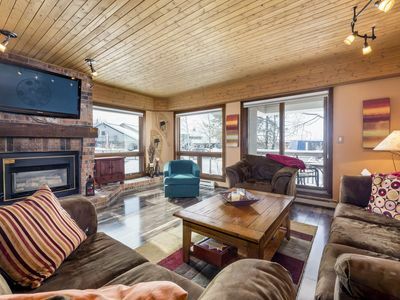 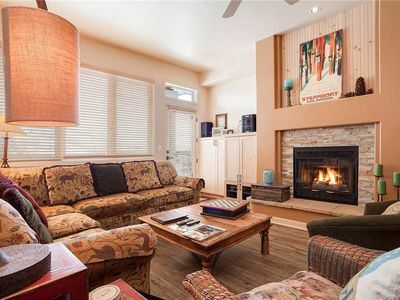 Condo Located Just off the Slopes, w/Private Deck, Fireplace & Hot Tub! 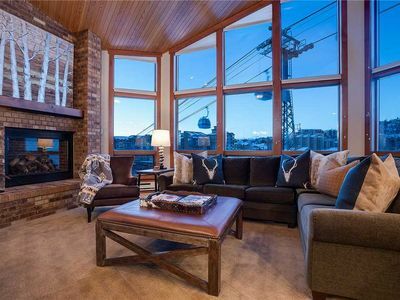 Luxurious Condo with Gondola Access and Loaded with Amenities! 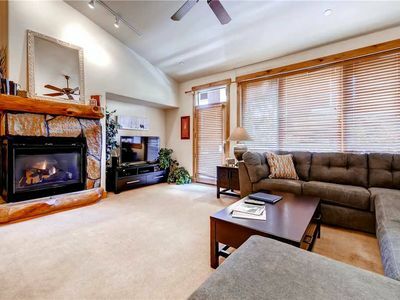 Beautiful 4 Bedroom Condo with Private Sauna! 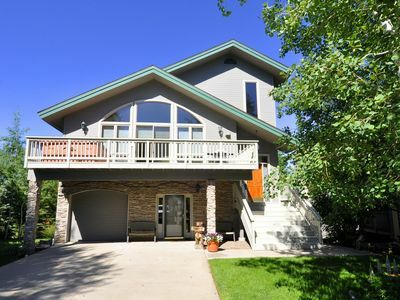 Awesome Summer Condo - Great Location With Outdoor Hot Tub!